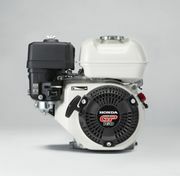 The premium domestic 4-stroke, OHV GP160 Honda engine is designed for domestic or lightweight use, applicable to tackling those jobs around the house. 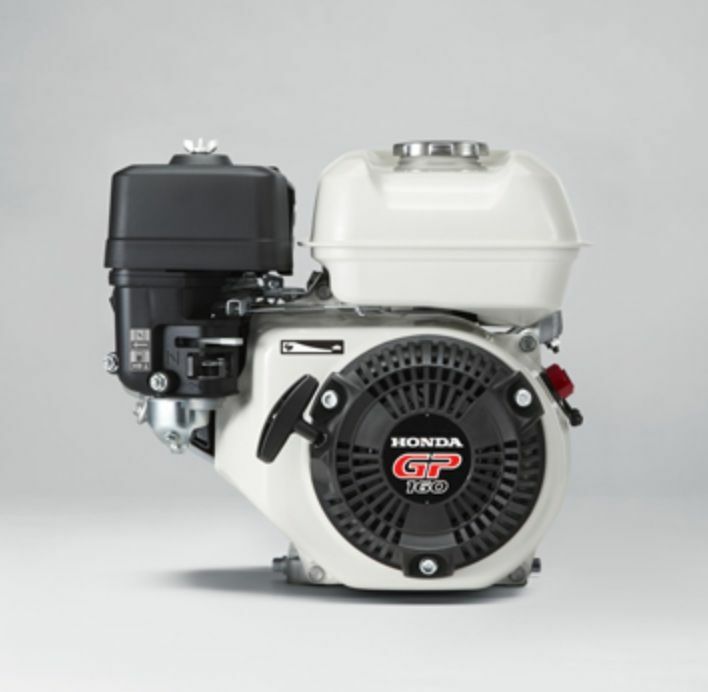 Anything from pressure washers, water pumps or generators you can rely on the powerful and consistent Honda GP160 engine. If your after more power for commercial or professional use you may be after its older brother the GX160. The precise camshaft design delivers perfect valve timing and optimal valve overlap resulting in significantly improved fuel efficiency. 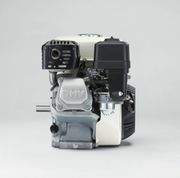 Equipped with a ball bearing-supported crankshaft and optimum design consequently delivers a stable and low vibrating engine no matter how it is used. 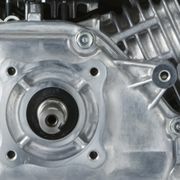 This is complimented by the use of lightweight, noise-reducing materials and a forged steel crankshaft & durable crankcase producing an engine that is super quiet. And with the large fuel tank, dual oil drains and easily accessible spark plug and recoil starter you would be mad to purchase anything else. So buy with confidence and buy a Honda GP160 coming standard with a 1 year domestic warranty.